DHEA (also known as dehydroepiandrosterone) is a natural substance that supports a healthy metabolism. It's produced by the adrenal glands (which are located near the kidneys) and may help you look and feel younger‚ potentially due to the fact that your body's production of the hormone tends to decline with age. In fact‚ the DHEA levels of senior citizens may be up to 80 percent lower than those of young adults. If you exercise regularly‚ DHEA may also help you build and maintain muscle and lean body mass. It's also involved in supporting a stronger immune system‚ which may make you less likely to get sick. Older men and women may also experience increased bone mineral density; this can help you avoid painful or inconvenient falls and breaks. A DHEA supplement can promote well-being inside and out. Your brain may benefit from DHEA's potential to support better memory and increased cognitive ability. Some women may also experience relief from mild menopausal symptoms and see healthier-looking skin‚ an improved libido‚ and less vaginal dryness. 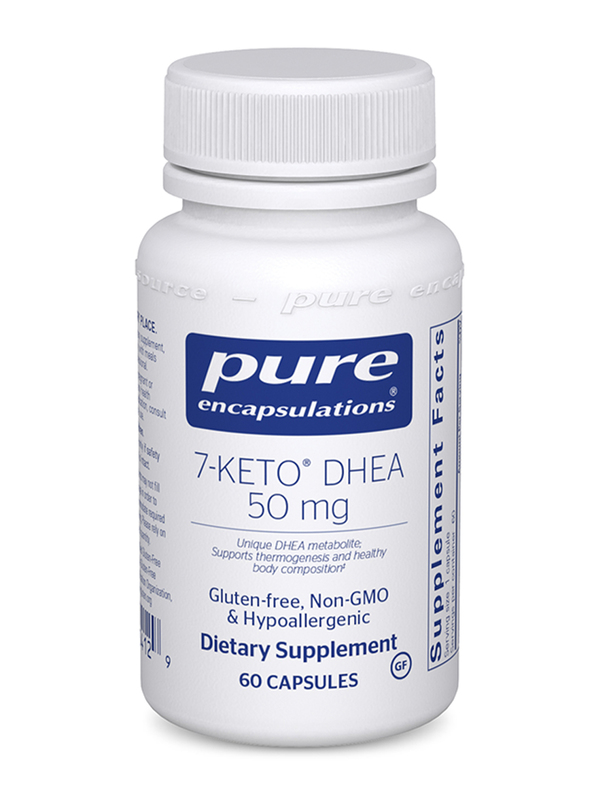 7-Keto DHEA by Pure Encapsulations provides a unique form of DHEA. 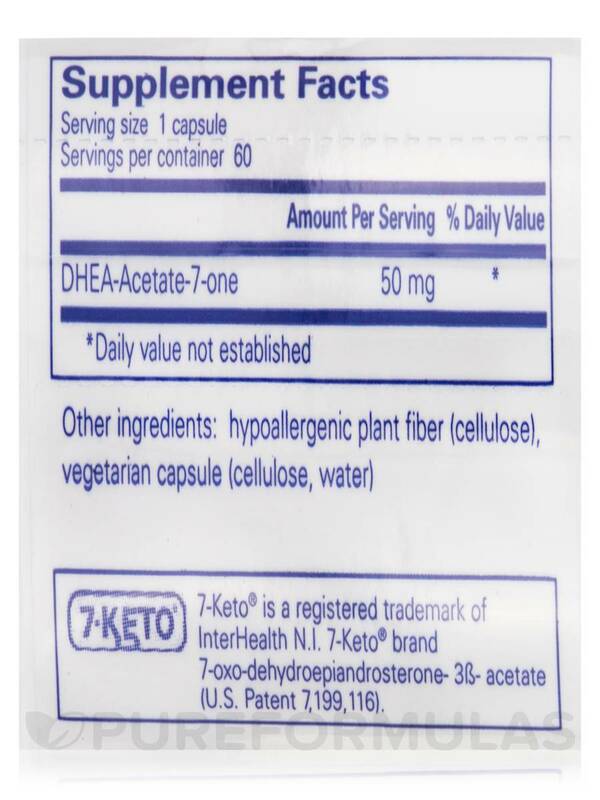 Unlike other types‚ 7-keto-DHEA is not converted into estrogen‚ androgen‚ or other steroid hormones. It may also be more effective for stimulating the liver' thermogenic enzymes‚ which tell other cells to generate needed energy by burning fatty acids. 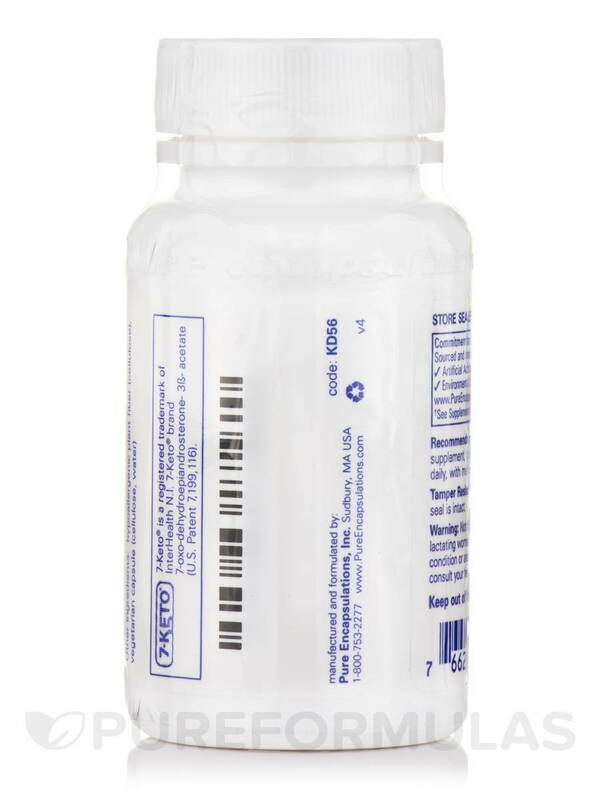 One capsule contains 50 milligrams of 7-Keto-DHEA. Take one to four vegetable capsules daily‚ in divided doses with meals. 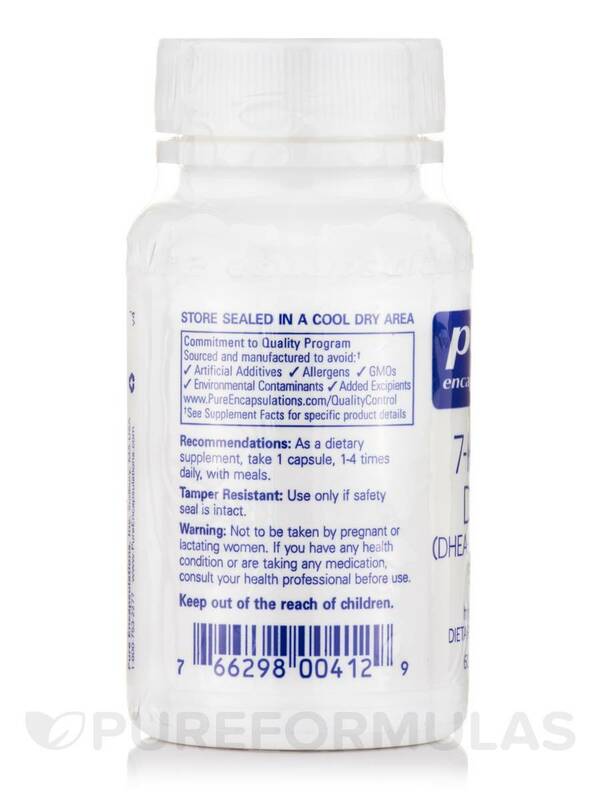 At the recommended dosage‚ each 60-capsule bottle of Pure Encapsulations' 7-Keto DHEA 50 mg should last for 15 days to two months. 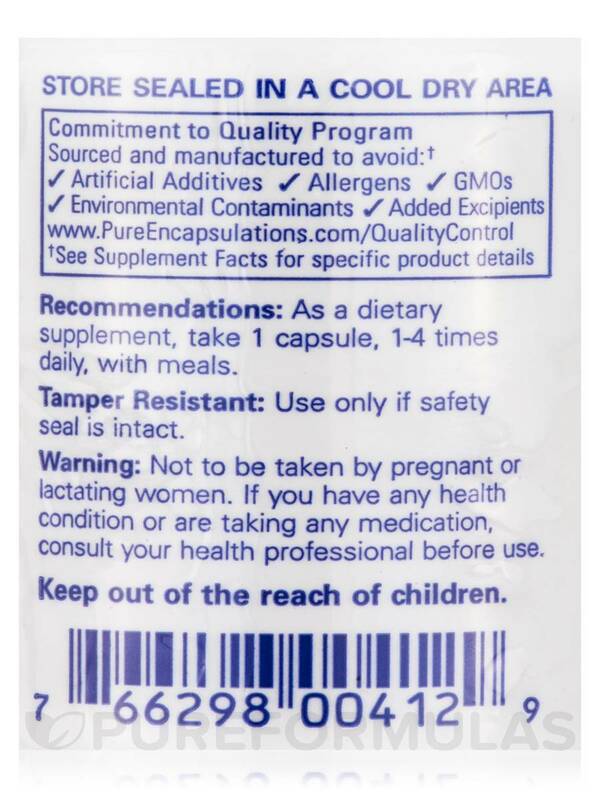 As a dietary supplement‚ take 1 capsule‚ 1-4 times daily‚ with meals.